Produced on the occasion of the master lectures of 2011, this video offers a comprehensive theoretical introduction to modernism with the art historian TJ Clark. 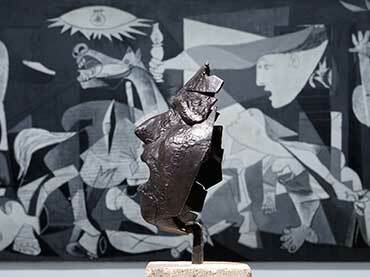 The author of Picasso and Truth: From Cubism to Guernica (2013) and Farewell to an Idea: Episodes from a History of Modernism (1999), among other seminal studies, TJ Clark discusses the ideas that shaped modernism (the process of secularization, the loss of the aura or the disenchantment with the world) and how these notions survive or have been transformed throughout history, placing special emphasis on the Museum's Collection. November 23 - 24, 2011 - 7:30 p.m. The Collection of Museo Reina Sofía starts with the end of the 19th Century, addressing the conflicts between a dominant Modernity, understood as progress, and its multiple discontents, as an ideology under constant challenge both in the social and the political fronts, and the cultural and artistic ones.